A new finding by Australian researchers could change our understanding of the history of the ocean. 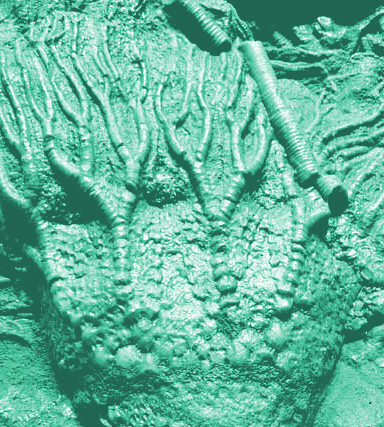 A global research team including scientists from the University of Western Australia has discovered sea lily (isocrinid crinoids) fossils evidence suggesting the species lived in shallow water in the Southern Hemisphere millions of years longer than previously thought. The findings paint a very different picture of the global evolution of our ocean and challenge Marine Mesozoic Revolution, a major theory in palaeontology that explains the evolution of animals occupying shallow sea floors. The study explored some of the most remote regions in Western Australia and Antarctica. UWA researcher Dr Aaron Hunter said sea lilies in the Southern Hemisphere had survived in shallow waters until 33 million years ago, instead of the previously estimated 66 million years - millions of years longer than their northern hemisphere cousins. “However as the continents moved apart, they had nowhere to go but into the deep ocean depths, beyond the reach of new predators, where they have clung to existence until this day,” Dr Hunter said. Researcher Adjunct Professor Ken McNamara said the discovery changed the understanding of the evolution of the ocean. “This not only changes our understanding of the evolution of sea lilies, but more importantly shows a huge difference between the evolution of ocean creatures in the Northern Hemisphere compared with the Southern Hemisphere,” Professor McNamara said. Dr Rowan Whittle from British Antarctic Survey said it was surprising to see such a difference in what was happening at either end of the world. “In the Northern Hemisphere these changes happened whilst the dinosaurs ruled the land but by the time sea lilies moved into the deep in the Southern Hemisphere the dinosaurs had been extinct for over 30 million years,” Dr Whittle said.